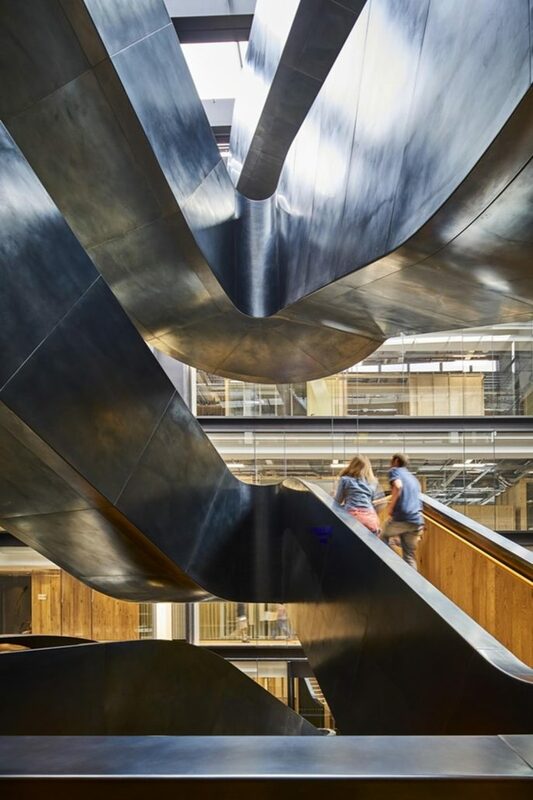 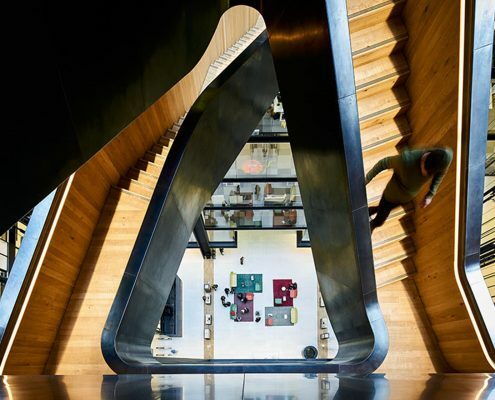 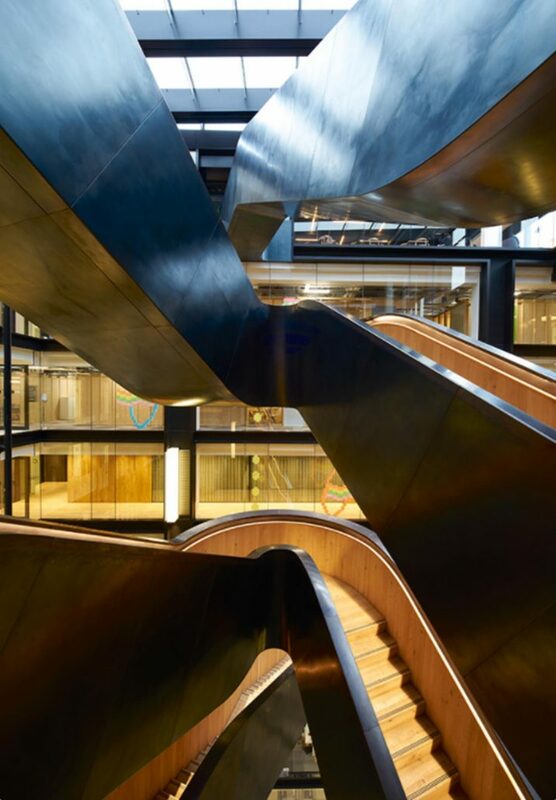 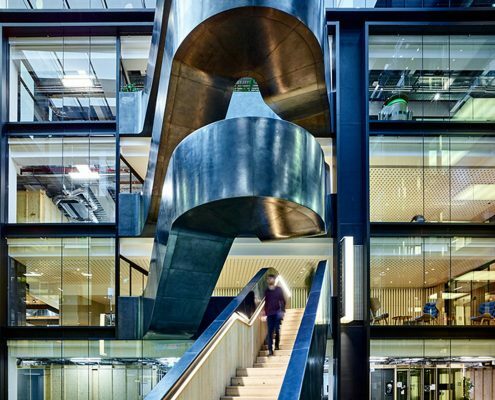 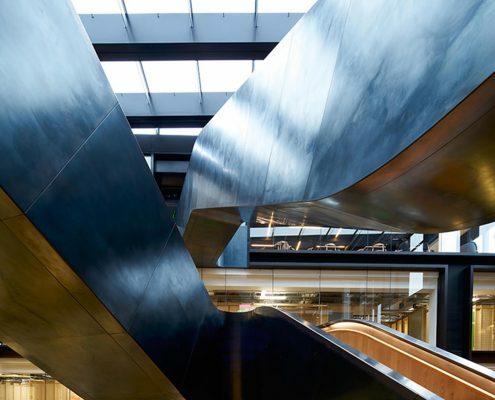 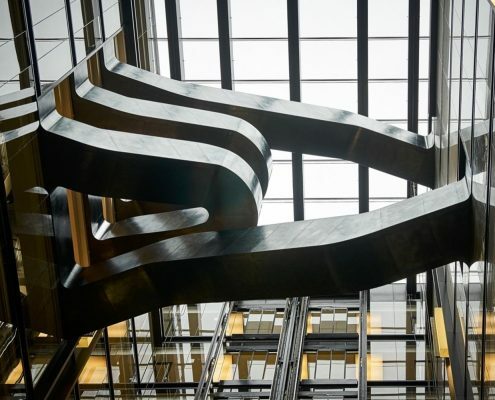 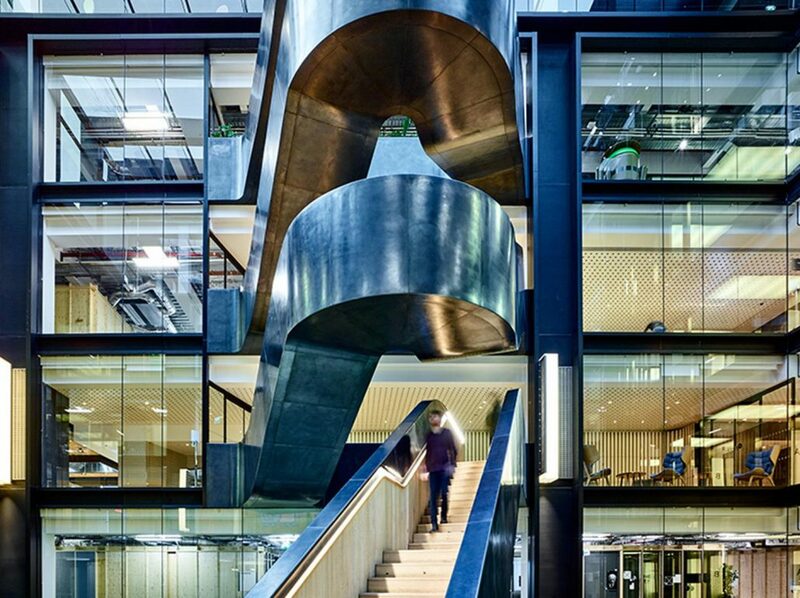 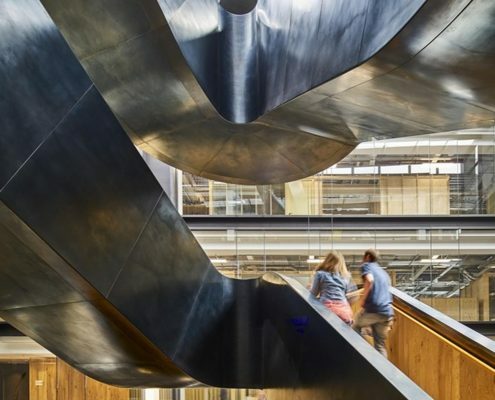 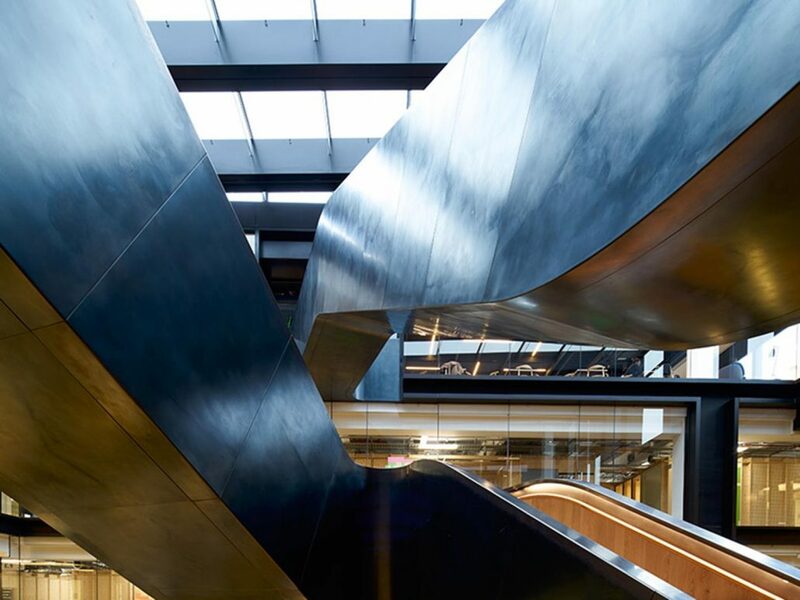 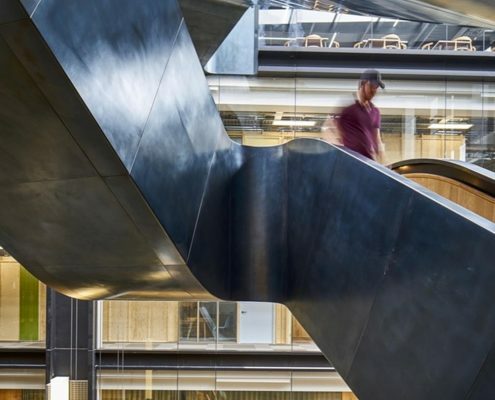 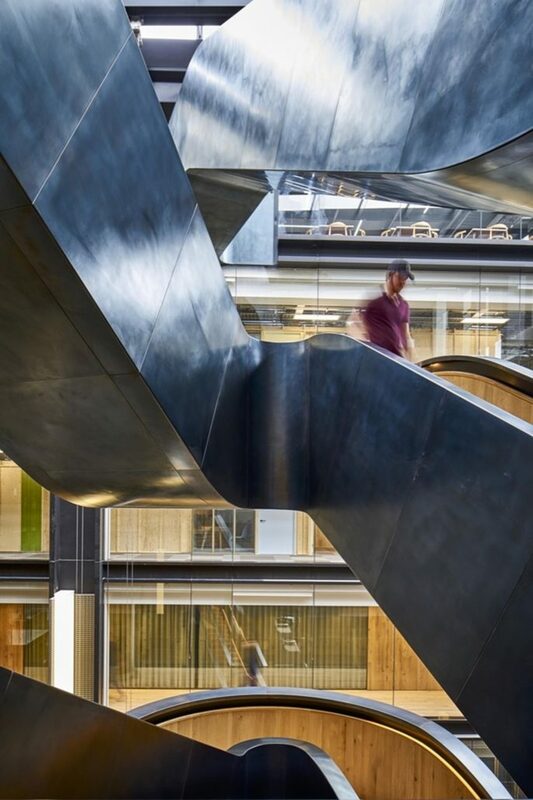 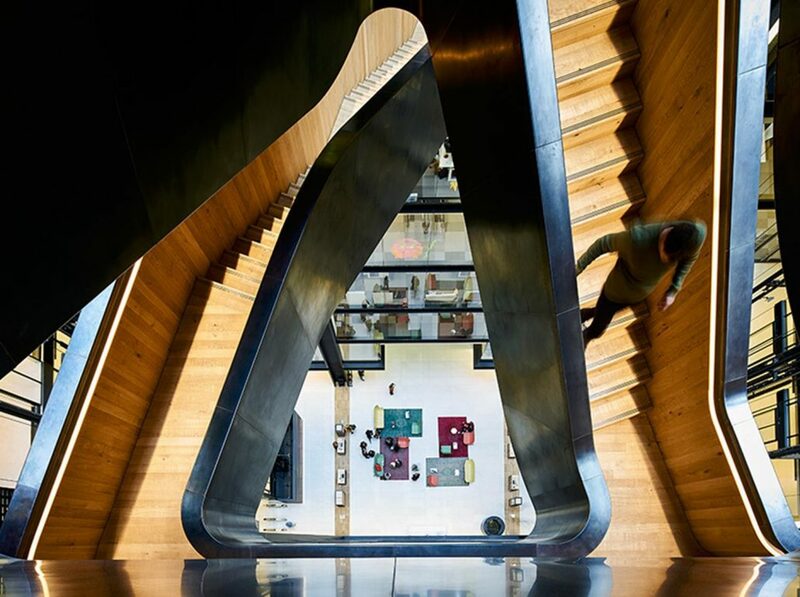 This striking, award winning staircase, was the centerpiece of Google’s new headquarters, based at Pancras Square in London. 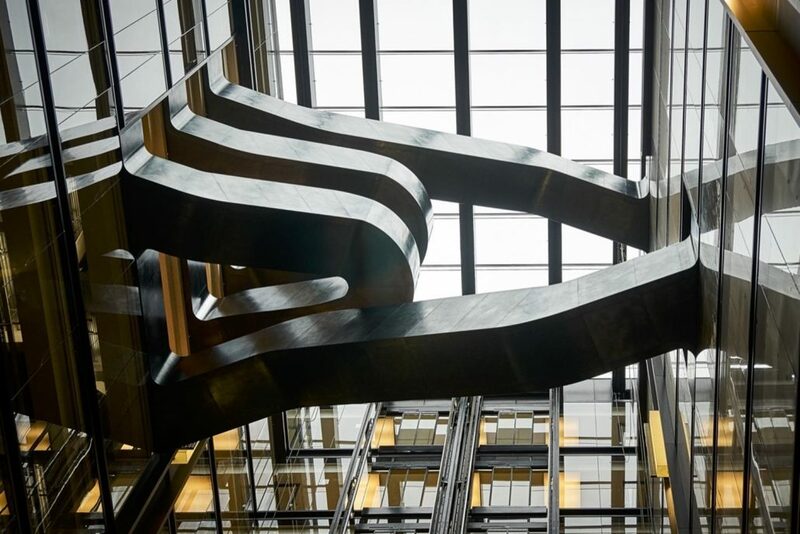 We achieved impossible deadlines; working through evenings to manufacture and install on time, before the 8,000 staff moved in. 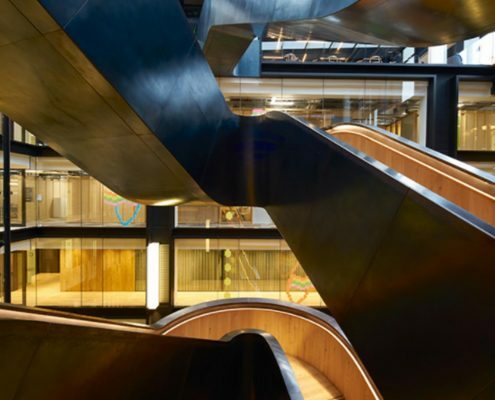 The FSC certified oak handrails were finished with a reduced carbon lacquer, the environment being a key factor throughout.